I received The Baby Detective by Sarah Norris to review, a parenting book unlike many others I’ve read. This book doesn’t dictate what is the right or wrong way to care for your baby. Neither does it tell you which parenting style to go with, instead, it gently guides you through caring for your newborn. Sarah Norris gently guides you through investigating what the problem is and why it is happening. With 25 years experience as a maternity nurse caring for hundreds of new mothers and families Sarah developed a new method. The unique AIM (Assess, Investigate, Modify) method to help parents solve the challenges any new parent may face. New parents can often feel confused and overwhelmed with unasked for advice, tips and tricks to care for their newborn. This book encourages parents to use their own tuition rather than telling them what to do. This book will give you the confidence to care for your new baby with confidence. Solving each challenge you face from sleeping, feeding, routines and winding. Each case study is unique and as a parent of 2 daughters myself, I’ve faced most of these problems. Looking back at my own experience these problems sometimes took month to solve due to conflicting advice, especially with Eva. Sarah’s explanations of looking for clues as to what affects your baby is fantastic for new parents. I honestly wish I had a book like this to hand as a new parent. Everything a new parent will face with their newborn is covered. From environmental factors, biological states,temperamant and emotional response. Sarah explains how record keeping can help new parents keep track and solve problems. From feeds taken, winding times and issues, sleep patterns and issues, nappy changes, Sarah makes record keeping seem a breeze . She also goes on to explain whilethis can be reassuring it can also increase anxiety at times. If this happens she explains what to do in that situation. This kind of book would have been helpful when I had Eva. I became obsessed with weighing Eva weekly until she was over a year old. Because she was born at 4lb 14oz, then dropped to 4lb 4oz due to jaundice, I was constantly worrying. Record keeping can be useful, but it needs to be kept simple and not become obsessive as Sarah explains. Rather than tell you which problems may arise with a newborn Sarah explains situations she has faced with new families. With each challenge the parents face The Baby Detective explains how to assess the situation, investigate the problem and make modifications. This method can be applied to big and small problems even those minor day-to-day issues. The Baby Detective covers planning ahead using AIM. This can be applied to family gatherings at home, medical appointments or treatments. It can also be applied to Social events away from home, foreign holidays and as baby develops. This in depth look at planning helps you plan aheadwith ease to suit you and your babies needs. An in depth look at winding, why your baby gets wind, anatomy of babies stomach will help you understand what is going on with your little one. This will fill a new parent with confidence instead of leaving them feeling clueless. With an extensive look at winding techniques that will help your baby you will quickly become a winding expert! As a new parent all the baby products everywhere can be really overwhelming. You can feel really unsure what will actually be useful day to day and how to use them. Sarah looks at each tool and why you may need it, reasons it can be useful. She also explains how not to overuse items like pacifiers and tips for sensible use. Each item is fully broken down again, filling a new parent with confidence that they are doing the right thing to comfort and care for their newborn. As a new parent knowing what is normal for your baby can be very confusing and scary. Again Sarah gives an in-depth look at every part of a newborn. From skin colour, umbilical cord, eyes, arms, feet, noises and crying. The Baby Detective also looks at head shape, appetite, wind, hiccups, breathing and temperature, febrile convulsions and sleep. A look at birthmarks, urine, feaces and constipation, menstrual blood in baby girls and skin rashes will leave you confident in caring for your newborn. As you face new challenges you may require support and have no idea where or how to get help. Sarah makes this easier for new parents by point5ing out exactly where to get the help you need and how. From other peoples opinions, hospital, community midwives, health visitors, GP’s, consultants, maternity nurses and support groups. Whatever help you need, Sarah Norris has compiled an extensive list to make finding help easy. We have all faced a newborn screaming, having a total meltdown whilst feeling overwhelmed and exhausted ourselves. Sarah offers some fantastically useful advice and suggestions for this situation. Sarah provides comforting ideas for your baby, an emergency routine to reset and calm a baby. These aren’t long term solutions but will help you get back on track and continue with the AIM method in desperate times. Having read The baby Detective, I love Sarah Norris’ way of looking at caring for a newborn. I remember too well how stressful those first few months with Eva were. I never felt confident that what I was doing was right and everyone felt I should try their way. It’s very overwhelming and stressful but The Baby Detective would make that time much easier for any new parent. I genuinely couldn’t recommend this book more, it’s unlike any other parenting book I have read. Easy Mornings With Left & Right Shoe Stickers From Easy2name – 3 Sets To Giveaway! Want easy mornings with left and right shoe stickers? 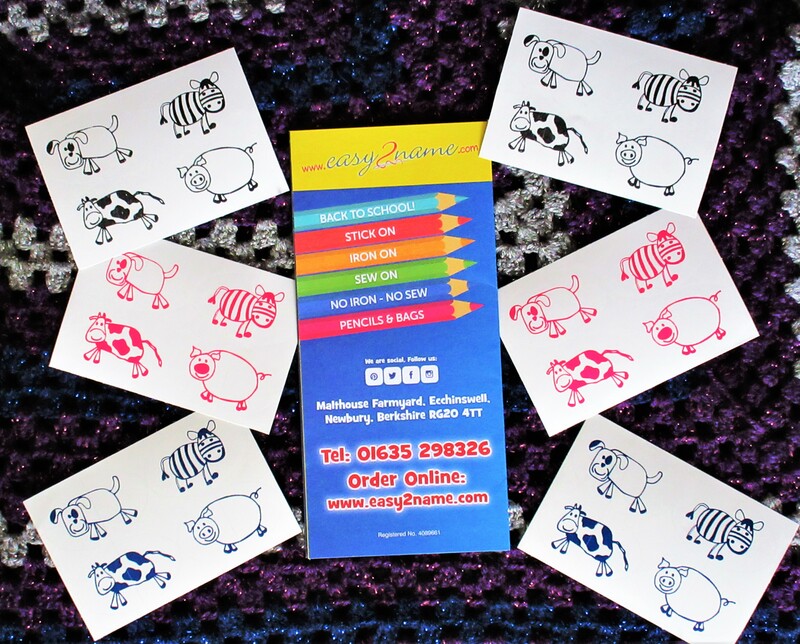 Easy2name have these fantastic stickers perfect for pre-schoolers & young children & we have a set each for 3 lucky winners! We received several sets of the lovely animal design left & right shoe stickers for our review. You can find a whole range of fab stickers & labels at Easy2name & I recently reviewed their Gorgeous Personalised Woven Labels with a giveaway (Ending: 2/4/18) too! The left & right shoe stickers are designed as a simple but effective solution to teaching children to put their shoes on the correct feet. This makes putting shoes on more fun and getting out the house a bit easier! Both girls still need help with their shoes, Izzy is learning and Eva struggles to stay focused. Needless to say, it can cause stressful mornings so spotting the left & Right shoe stickers seemed a great idea. Left & Right shoe stickers come with 4 fun designs included in each pack of 8, costing just £4 each. 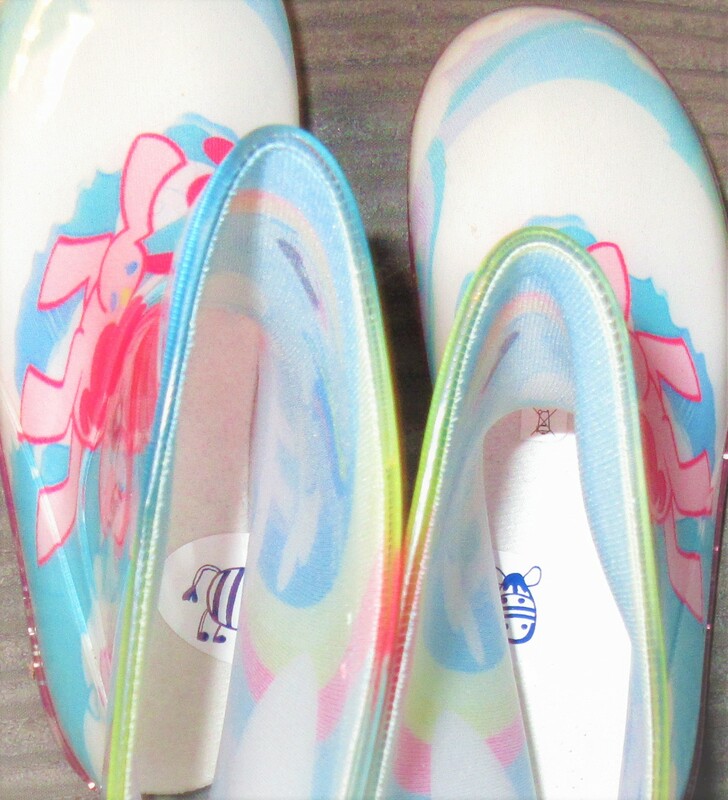 They are really easy to use, peel off and place each half of the sticker in each shoe to complete the picture. These labels are white and come in either black or pink print, you can select when adding to your basket. Izzy barely let me photograph the stickers before claiming a pink pig set of left & rights stickers for her trainers. Straight away I noticed the quality of the stickers, Easy2name have amazing quality products, I’m still in love with my woven labels too! The left & right stickers looked really cute and Izzy loved her pig! The very next day she got ready to go shopping with the Mr & proudly showed him which shoe to put on each foot. It really made me smile, it makes putting on shoes much more fun gives kids that little bit of independence too. I’m looking forward to easy mornings and Eva coming out of school with her shoes on the right feet! Eva picked a Dog for her trainers and a Zebra for her wellies which she struggles the most with. She wore her trainers to school for a few days (she keeps destroying school shoes, eek!) and came home with them on the right foot every time. I was even more impressed on P.E days as she generally has to swap her shoes over before walking home. One morning we woke up & it was raining hard so Eva needed her wellies for school. Eva usually can’t figure out which welly to put on which foot, as they are so similar. Reminding Eva the images go on the outside, isn’t helpful as the pictures wrap around. With the Easy2name left & right shoe stickers though we had an easy morning with no stressing over her wellies being on the wrong feet. Relief all round! I would definitely recommend these cute left & right stickers to parents of young children. They really do give you an easy morning and a happy child, these stickers are just fab! If you love the idea of these left & right stickers enter the rafflecopter giveaway below for your chance to win 1 of 3 sets. Each set of 8 left & right pairs of stickers come in 4 cute animal designs & winners can choose their preferred colour. 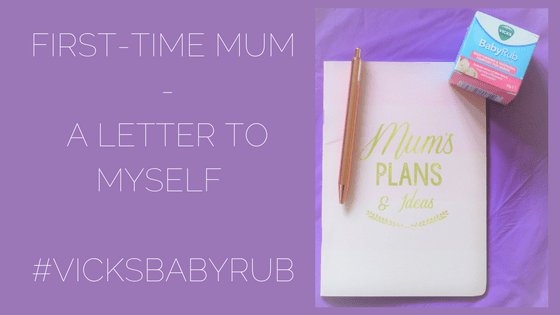 I wrote a letter to myself as a first-time mum as part of the Britmums #VicksBabyRub Challenge. looking back to those days really did get me thinking about what I would tell myself. There are so many things I wish someone had told me. I was sent a gorgeous notebook & pen to help me jot down all those tips, tricks & simple pieces of advice a first-time mum deserves. Being a first-time mum is both terrifying and exciting. Everything is about to change but you CAN do this! Pregnancy is exhausting and being a first-time mum is just as exhausting yet so rewarding. I have a few tips to help make the first year much easier for you. Everyone tells you to sleep when the baby sleeps but what if baby doesn’t sleep? Babies are well known to be terrible when it comes to sleeping but there usually is a reason. As a first-time mum, it can be so overwhelming when your baby is crying, here’s a few reasons your baby may cry & products to help soothe them. Vicks Baby Rub – Perfect for soothing your little one, this moisturising and soothing rub is designed to comfort babies. A combination of mum/dads touch along with mild fragrances of Rosemary, Lavender & Aloe Vera can help soothe and calm your little one. Vicks Baby Rub is a cosmetic, non-medicated product which can be used at any time to help wind down & settle your baby. Infacol – Colic is so stressful for baby and parents but Infacol is an absolute life-saver! With a handy pipette built into the lid, Infacol is easy to give to your little one and helps relieve Colic. Dentinox/Bonjela/Ashton & Parsons Powders – Teething is possibly the worst part of parenting, knowing your little one is in pain is hard to bear. These fab products are designed to help ease the pain and soothe your little one. Sudocream/Bepanthen – Nappy rash is a nightmare, it looks awful and causes little ones to cry out in pain. Creams like Sudocream and Bepanthen are specially designed to help heal and soothe babies skin. Calpol/Nurofen – If all else fails and your little one is clearly in a lot of discomfort, or has a slight temperature, painkillers can help. Always read the labels & correct dosage instructions. Remember smalle/premature babies will need a smaller dose. Talk to your GP if you are unsure. It can sometimes feel like we have to buy certain brands & products with little ones but the truth is there are some less-known brands that are just as good. Take Mamis Nappies & Wipes, for instance, these cost a lot less than most brands and just as good, if not better in my own opinion. Bulk-buy products you know you will need such as nappies, wipes, washing powder, fabric softener & dishwasher tablets. Buying items like these in bulk can save you quite a bit of money which can be better spent elsewhere. 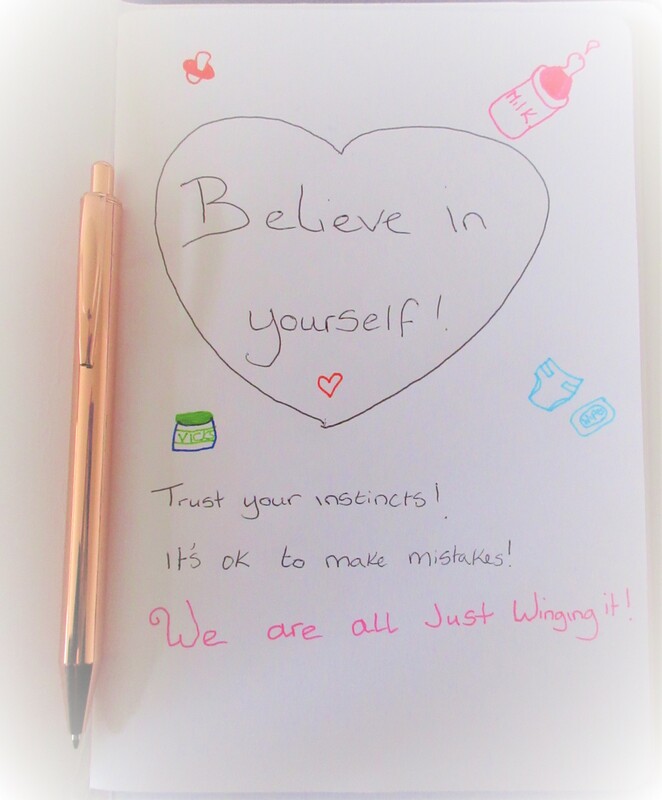 It’s OK to make mistakes, everyone does as a first-time mum don’t let them get you down. You won’t always know what is wrong with your baby or what to do. Do what comes naturally, you’ll be fine! It’s so easy to blame yourself and feel guilty because you forgot to bin that nappy or wash up bottles. It happens, you’ve just spent 9 months growing a tiny human which is draining enough. Add in an exhausting delivery & a baby who sleeps very little. It’s hardly surprising little things will be forgotten when we are sleep deprived. Ask for help if you feel too tired and need help catching up on chores. It is so easy to feel like you have no clue what you are doing. Trust your instincts though, they will often be right on point! Don’t blame yourself if you can’t breastfeed, it happens, as long as your baby is fed and happy it’s OK. You are doing your best! If you feel something is wrong, act on it. If you think something isn’t right with your little one contact your HV or 111 for advice. As a first-time mum, it can feel like nobody trusts your judgement but you know your baby best. Make sure you enjoy the early days as a first-time mum. The washing up can wait, the tidying doesn’t need to be done right now. Focus on your baby and you and getting through each day, getting to know each other and enjoying those baby days. We often get caught up in trying to look like we have it all together. The truth is none of us really do, we all lose track and forget things at times. Just remember you are doing the best you can and that’s what matters most. Your baby won’t remember how tidy the house but they will feel the bond growing between you as you spend time together just enjoying those early days. 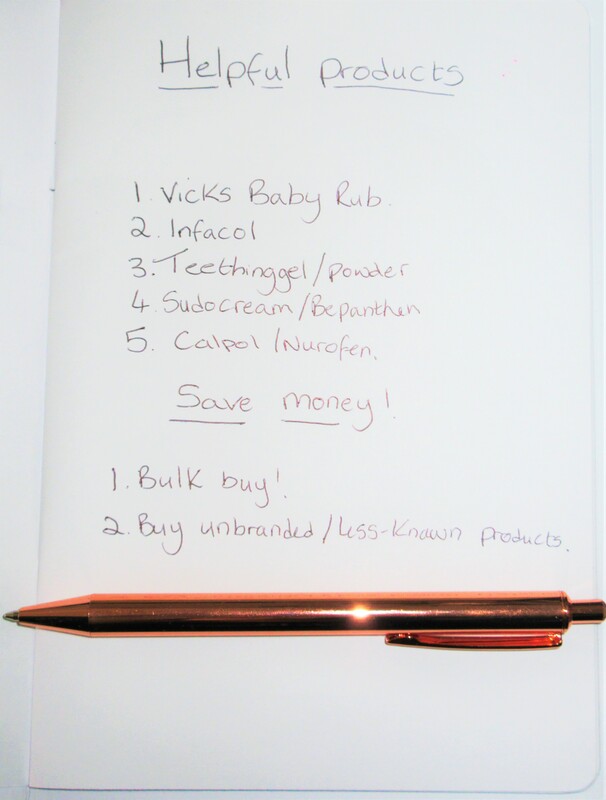 This post is an entry for BritMums #VicksBabyRub Challenge, sponsored by Vicks BabyRub. Specially designed for babies aged 6 months and over, Vicks BabyRub is available at Boots, Superdrug, Tesco, Asda, Waitrose and all good pharmacy chains. RRP £3.99. 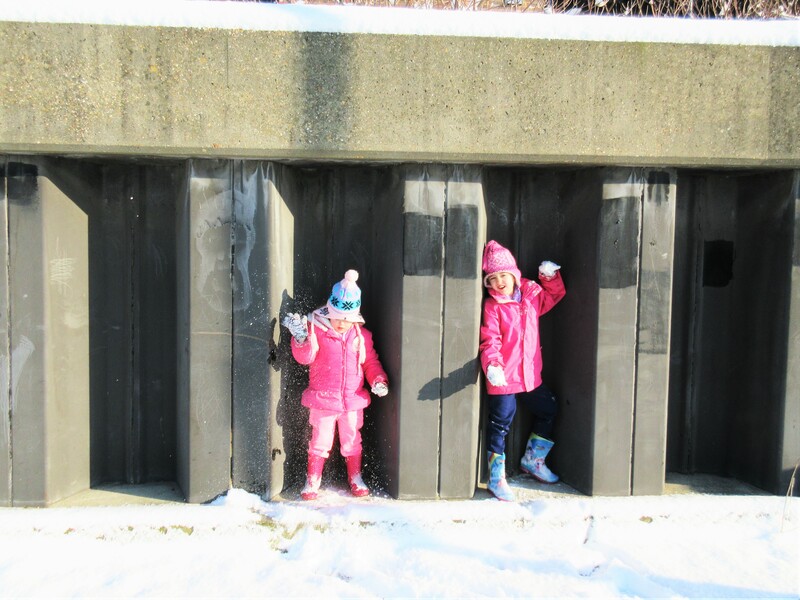 The girls enjoyed some Snow day fun yesterday as did many other children around the UK. This was Eva’s first school snow day and when I told her school was cancelled we all cheered! Izzy had never actually touched snow until we got downstairs. She was so surprised it was soft to touch and loved how it felt, collecting handfuls of snow as we walked. 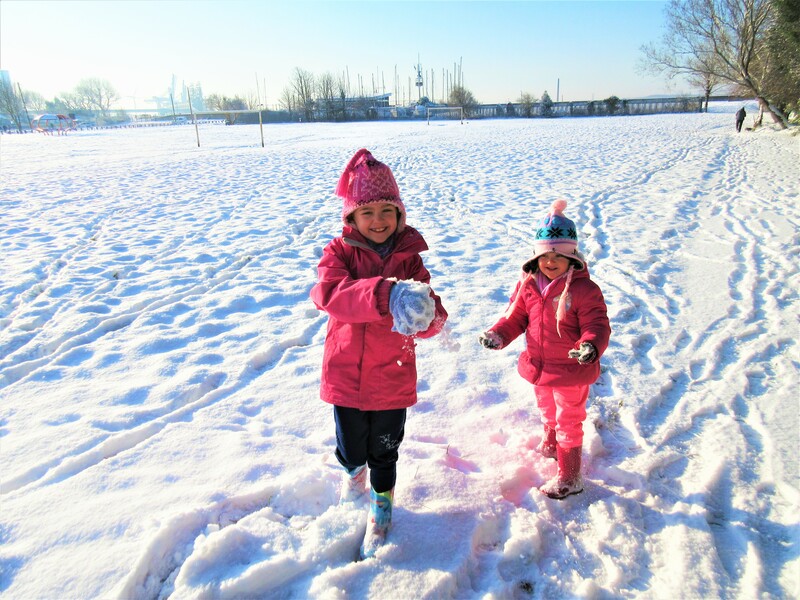 The girls quickly got into the spirit of things grabbing snow to ball up and throw and each other. Eva was a little younger than Izzy last time it really snowed so she doesn’t really remember it well. She really enjoyed the chance to play yesterday having sulked at the lack of snow the night before. 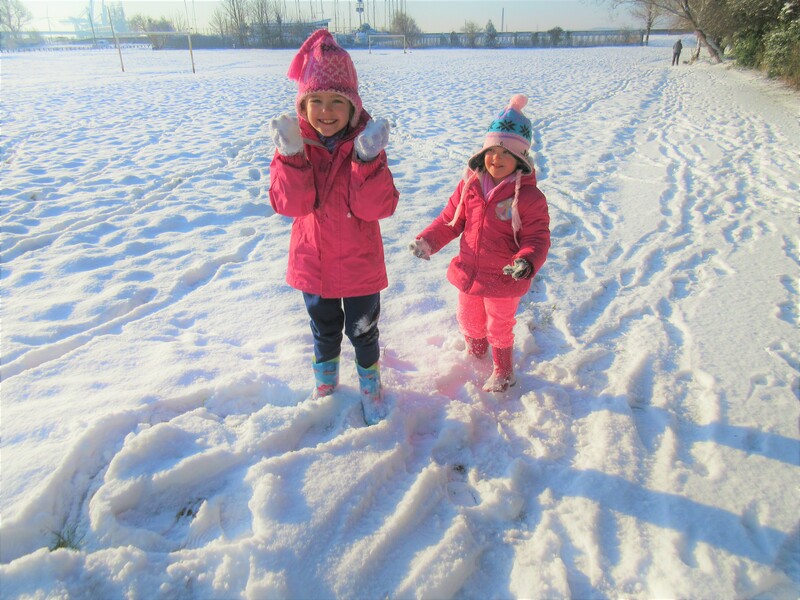 You can see in this picture just how excited and happy the girls were to finally experience their first snow day. With enough snow to cover our feet, we decided to wander down to the river and enjoy crunching through the snow some more. 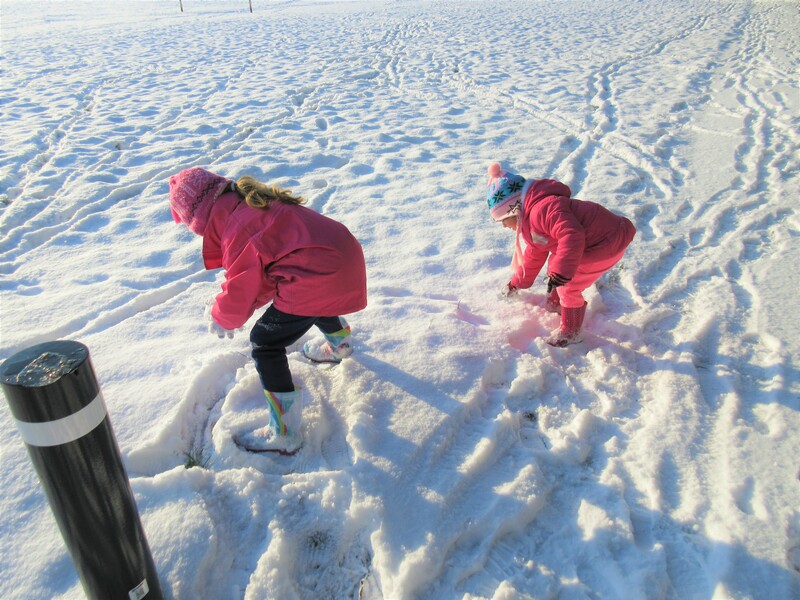 Of course, not before the girls had practised making snowballs first! We took a walk along the sea wall, taking in the fresh early morning air as it was only just 9am when we ventured out. The girls played along the way, exploring over the steps to see the old lightship and back again. On the way back the girls decided they wanted to pose as statues… Not very good statues mind! Izzy was a little more concerned she couldn’t shake off all the snow on her glove to be fair! I’m not too sure what Eva’s ‘statue’ is supposed to be though! We headed back to play closer to home and eventually went inside to warm up. All in all we had a lovely Snow day, did you? We’ve been turning #tearsintosmiles with Elastoplast this week! Eva can be rather clumsy at times and quite often hurts herself in some way. It has become a family joke that Eva could win an award for the most medical forms sent home from school! We joined the Britmums & Elastoplast #TearsIntoSmiles challenge and were sent some awesome Frozen and Star Wars Plasters to join in with. We headed out to the park at the weekend, the girls really enjoyed running around and playing on this awesome ship! Whilst playing outdoors is important in child development falls and scrapes can happen often. Eva loves to climb but she managed to lose grip fall off the climbing frame and hurt her arm. We dusted her off and she seemed ok, just a small scratch. We gave her a quick cuddle and tried to distract her with pirate jokes. When a cuddle doesn’t help usually distractions work best. Usually joking helps but when she has a cut it can be quite difficult to calm her down. Luckily I had the Frozen plasters we were sent in my bag at the ready. We quickly cleaned the scratch and popped a plaster on it which instantly turned her #TearsIntoSmiles. We headed home for a cuddle on the sofa & watched a film and Eva soon forgot all about her cut. All kids react differently when they hurt themselves but when they do get upset a cuddle and distraction seems to work for us. Izzy rarely cuts herself and is one to get straight back up and dust herself off like nothing ever happened. Occasionally she will ask for a cuddle but cheers up fairly easily and carries on playing. How do you #TurnTearsIntoSmiles? Do your little ones love character plasters too? Check out Elastoplast’s #TearsIntoSmiles video below! What do you think? *This post is an entry for the BritMums #TearsintoSmiles Challenge, sponsored by Elastoplast. I’ve had to neglect the blog amongst other things over the last week or so & thought I’d give you a little catch up. Eva came down with tonsillitis & a viral rash. She is very rarely ill but when she is it can be hard work as she get’s very emotional and scared and to top it Izzy has been poorly too so I’ve literally fallen behind on everything! Luckily they both seem to be a fair bit better today although Eva still has an upset tummy but I am at least getting more done now and a bit of free time. A fair amount has gone on whilst I’ve been away including Eva’s neurologist appointment about her headaches Thursday just gone. She has been referred for an MRI scan on her brain but the Dr thinks it will come back ok.. I hope so! I’m now just waiting on a date. Annoyingly my ESA assessment was cancelled and rescheduled for Eva’s birthday (10th May) in the afternoon meaning I’ll maybe see her for an hour across the day as she is also at school. I’m really gutted but we have planned to make the most of the good weather we are supposed to have this Sunday with a nice picnic at one of our local park’s and we’ve invited a few people. We also decided to let her have her presents & cake Sunday too so she has a chance to play with them as Tuesday will be a rush with school & me off to my assessment. We will still give her card’s a badge & some sweets to hand out at school on her actual birthday too which she is happy with as she says gets two birthdays! How’s your week been? Have you had any good/bad/interesting news lately? As a parent you look forward to the idea of half term even if its just a little bit, no early hectic school runs to do, no uniform to sort, more time with the kids.. But then we also kinda dread it a little knowing we have to make sure we keep the kids occupied as much as possible to prevent the dreaded repitition of ‘I’m bored!’ aswell as having twice as much housework to keep on top of! For me although it is a welcome break from the routine and I love the girls having more time to play together half term has also become one of those times that I feel a little sad. Being in pain so much of the time often leaves me feeling so exhausted I end up feeling guilty for doing so little with the girls in the holidays. We are half way through this half term and so far unfortunately I have only managed to take the girls to the park twice. I wish we had done more over the past week but I haven’t been feeling great so it has been a struggle to get us out and about as even the short walk to and from the local park wears me out most days. We have been lucky to review weekend boxes which at times has been a godsend being able to occupy Eva during Izzy’s nap times & we have been doing a few crafts ourselves but I feel guilty that they aren’t out socialising and playing with other children more, especially Izzy as she is now at a stage where she loves playing with other children. I need to find a way to fit everything in and still manage not to push myself too hard but I get so stressed with myself falling behind as it feels like I’m constantly behind on everything and the girls suffer by being stuck indoors bored doing the same things over and over simply because I’m either busy pushing myself to catch up or suffering from pushing myself. I am lucky as I now having a working dishwasher so have to stand at the sink less, the Mr does the clothes washing, hoovering, cleaning & feeding the animals, the majority of the cooking and shopping etc but somehow I still struggle!? I try to make it up to the girls by reading and talking to them, taking pictures and doing what I can from the sofa on bad days but I still feel like I’m letting them down. If anyone has any tips or suggestions I’d really appreciate it as over the last few days especially its been getting me down! Parent’s with chronic pain.. How do you do it? Honestly? I need to change the way I’m doing things but have no idea what to do or where to start!